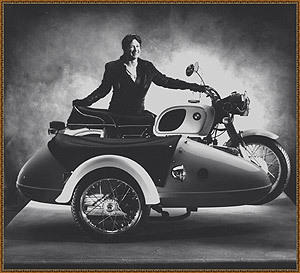 Amy Jean Nichols had gotten her first motorcycle in 1987. Naming it Rigadoon, meaning a brisk old fashion lively dance. 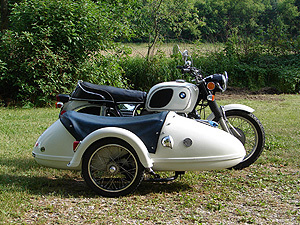 It is a 1973 R75/5 BMW with a sidecar. 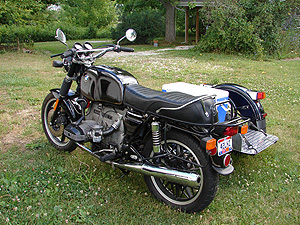 The sidecar made it possible to carry objects she created on motorcycle tours across the land. Tours have so far taken her through 49 states, Canada and Mexico adding well over 200,000 miles! She has worked as a self-employed artist since 1983 in hot glass, enameling and bead making. Then took an avenue in card making in 1997. This way she could combine her love of motorcycles and art. 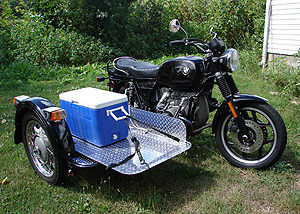 This also lets the motorcycles earn their keep! 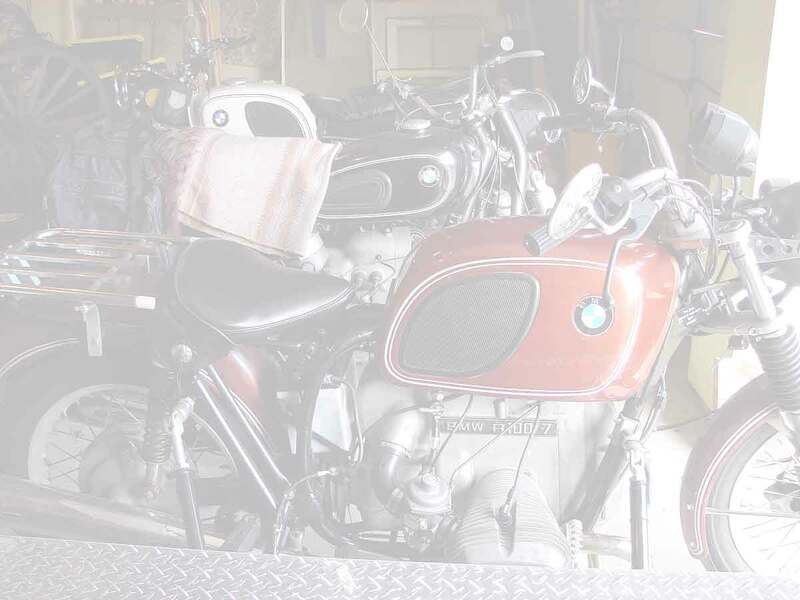 Each motorcycle is hand drawn and then printed on card stock paper. Each card comes with an envelope. The cards are touched up with highlights of silver metallic paint for the chrome and other polished parts. On the backside of the cards there is information about the motorcycle pictured. In the future there are hopes of adding more designs. Welcome to a fine collection of Garage art!